The Branch Ranch is a unique farm nestled in the rolling hills of Northumberland near the village of Warkworth, Ontario, growing select varieties of basketry willow for basket weaving, garden ornaments, bird feeders, living willow fences, domes, woven trees and tunnels. Workshops taught by Madame Twig I & II are held spring thru early winter. April is Living Willow month, then basketry and garden ornament workshops continue from May until early December. April Living Willow and May Weaving Workshops will be posted later this winter. Special events are also organized once a year featuring international guest instructors. 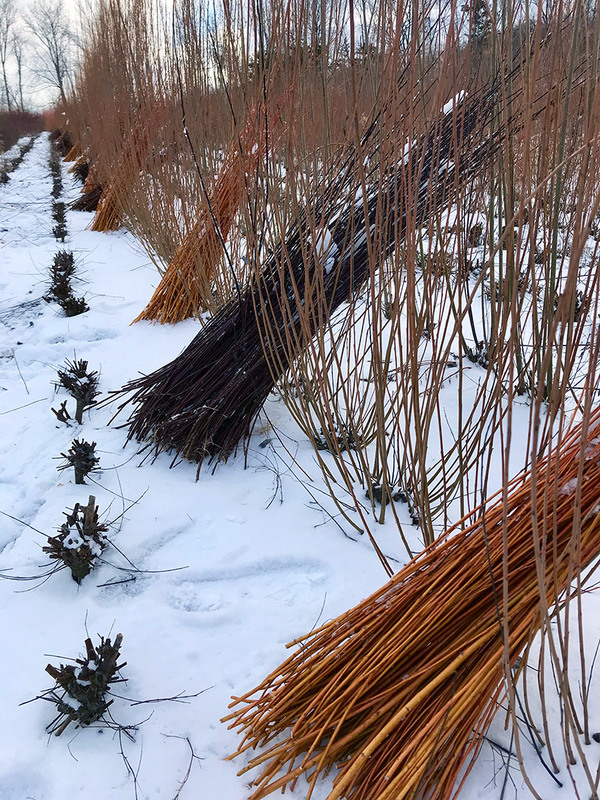 DIY kits for living willow structures, basketry willow cuttings and rods are available for sale in early spring. Several varieties of willow for basket weaving and sculpture are available all year, sold by the pound, either dried or pre-soaked*. *pre-soaked willow is only available for pickup at the farm. THE WILLOW HARVEST TAKES PLACE FROM NOVEMBER THRU MARCH. The new schedule of workshops WILL BE POSTED approximately one month prior to the beginning of each eight week session. Sessions consist of two or three workshops per week. Classes run from April thru early December. Subscribe to the workshop email list or LIKE us on Facebook to see the schedule as soon as it's posted. 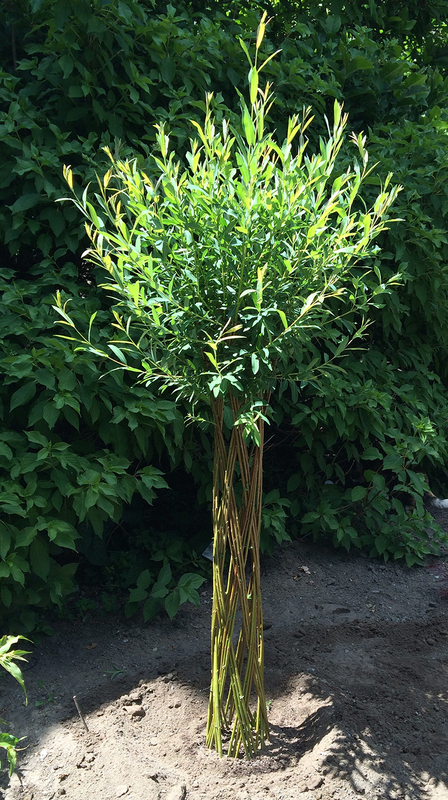 Make baskets, garden ornaments, living willow trees and bird feeders in a workshop. Did you know that there are posts and photos on FACEBOOK and INSTAGRAM that you won't find on our website? LIKE our pages and you can follow along with the fun! Have you been to a workshop and enjoyed your experience? Please spread the word, we are grateful for your support and enthusiasm for our little willow farm! Please feel free to post a review on Facebook, we welcome your feedback! Two women with backgrounds in Horticulture and Art on a farm with 20,000 willows. 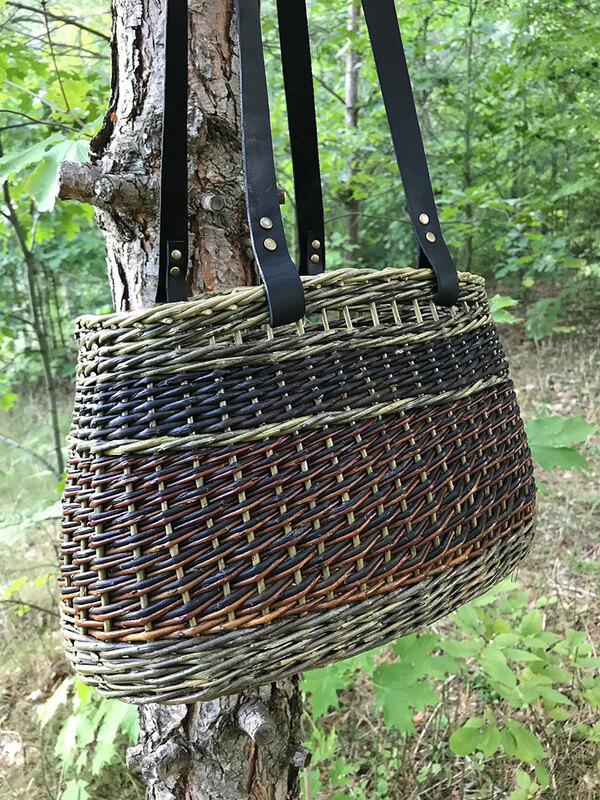 Blending nature and creativity by combining a sustainable, natural medium and an ancient craft, inspired by the beauty of the plants and materials grown and gathered on the farm. VOTED ONE OF THE BEST HANDS-ON EXPERIENCES IN CANADA!